Colorful light show! 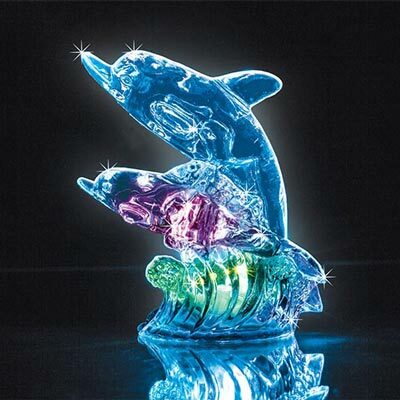 Quite a showpiece for a desk or end table, our playful acrylic Color Changing Dolphins statue lights up in a series of ever changing color. On/off switch on bottom of clear acrylic base. Uses 2 button cell batteries (included). Imported. Approx. 4&12;"h.